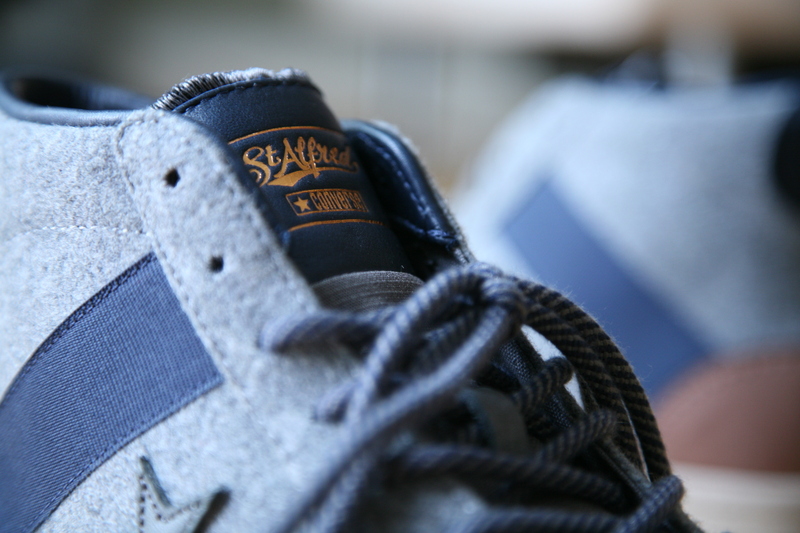 Converse First String has had many interesting, quality collaboration with various independent shops. This time they created this beauty with Chicago’s St. Alfred. The collection featured two colorways, one pair had an upper of grey while its cousin had an upper covered with black. Both pairs showcase premium wool & leather and just have a real nice winter feel to them. They even came with 3 different lace options. As soon as I had seen these, I needed to have one or both. The grey pair was my favorite.